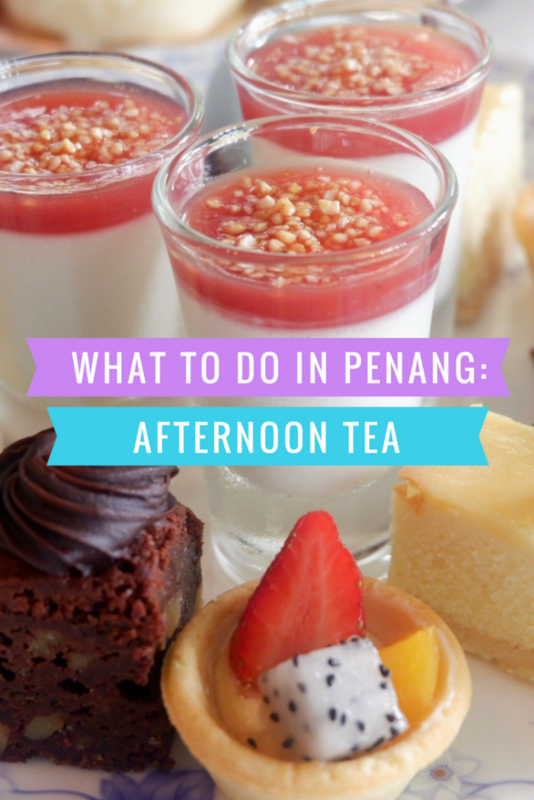 Right when we decided to have a royal-like afternoon high tea in 1885 of Eastern & Oriental – Penang, the rain poured. 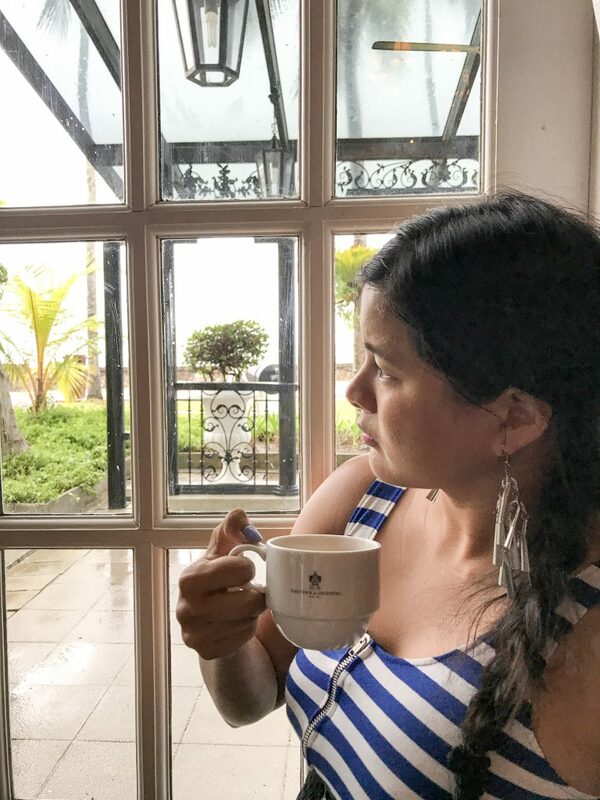 Although the natural light of a sunny day could have brought out the highlights of the interior design of the restaurant 1885 in Eastern & Oriental Hotel, the gloomy and rainy afternoon was just perfect to have a hot cup of tea while in a British-colonial heritage city of Penang, Malaysia. The Eastern & Oriental Hotel in Georgetown, Penang is a seafront hotel with a British colonial architectural design that offers a luxurious lodging since 1885. The hotel underwent expansions and renovations. The front wing of the luxurious hotel only underwent refurbishment but retained most of its original designs. Hence, this front wing was named Heritage Wing. And, located in this wing is a heritage restaurant named after the year that the Eastern & Oriental Hotel was established. This restaurant is the 1885. 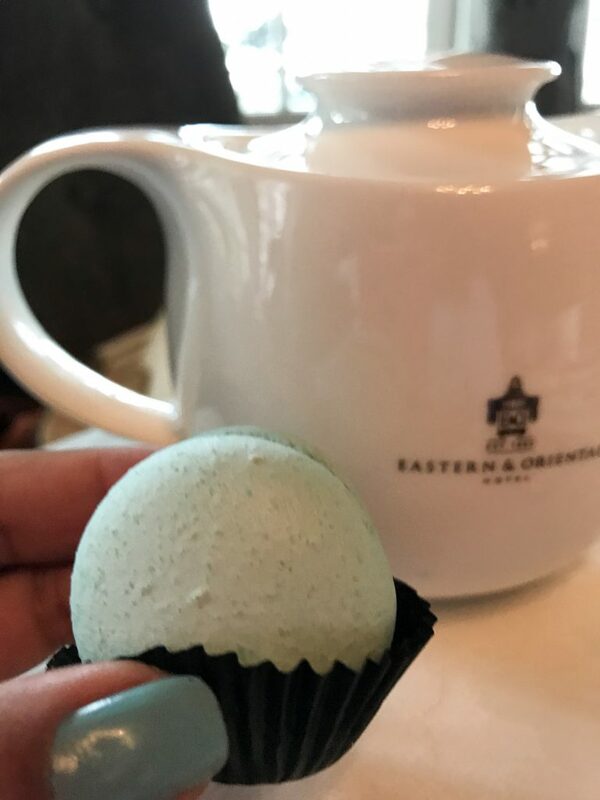 In the restaurant 1885, we were transported back to the colonial period in Penang through a Traditional English High Tea setting, from its set menu, up to its interior designs. Its arched doorways, paneled wall, cornice molding, windows, and chandelier have simple but posh traditional British style. On their menu, they have 16 varieties of tea flavors to choose from. We chose Irish Whiskey Cream, Raspberry Royal, and Soft Peach. 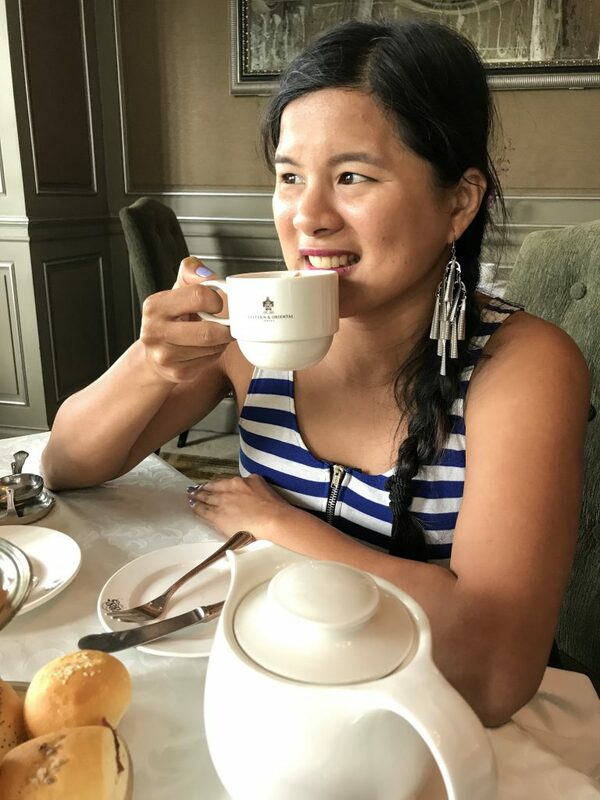 We loved the sweet but light natural fruity flavors of the Raspberry Royal and Soft Peach teas. My favorite tea though was the Irish Whisky Cream. It tasted like cocoa with a strong and sharp bitter taste. Since we were eating lots of sweet stuff, the Irish Whisky Cream balanced out the sweet flavors. 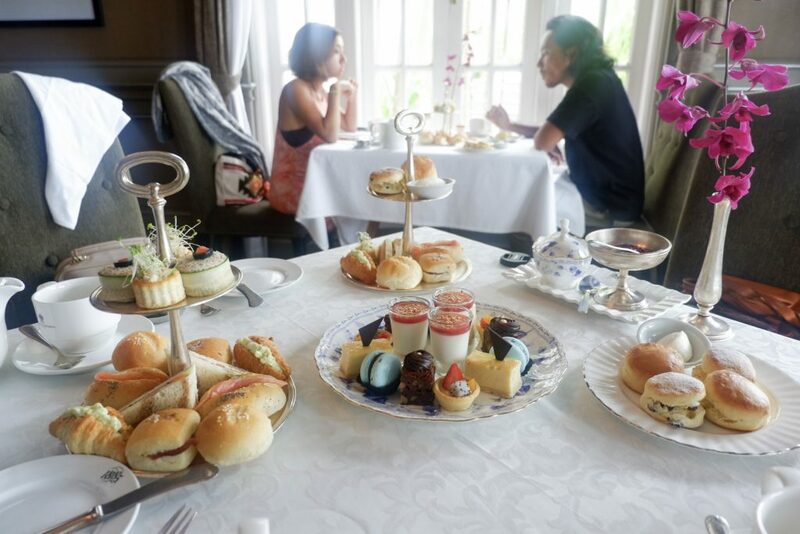 Our afternoon high tea in Eastern & Oriental, Penang, will not be complete without the scones. Here, their plain butter and raisin scones are really good and can be spread with strawberry jam and clotted cream. 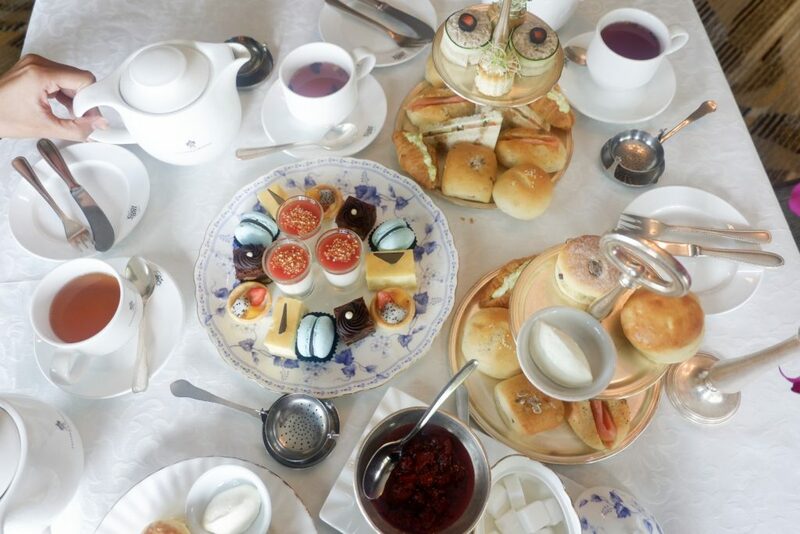 Also included in the Traditional English Afternoon Tea set menu are the cake, sweet pastries, and finger sandwiches. For the finger sandwiches, I loved their savory beef brisket sandwich with crunchy gherkin and sweet and spicy mustard mayonnaise. I also loved their bite-sized tuna sandwich wrapped with thinly sliced cucumber and decorated with olives and tomato on top. And, I couldn’t forget their marble bread sandwich with fresh cucumber, tomatoes, and cream cheese. Generally, the two two-tiered trays of sandwiches have a mix of heavy, light, and refreshing cuts. 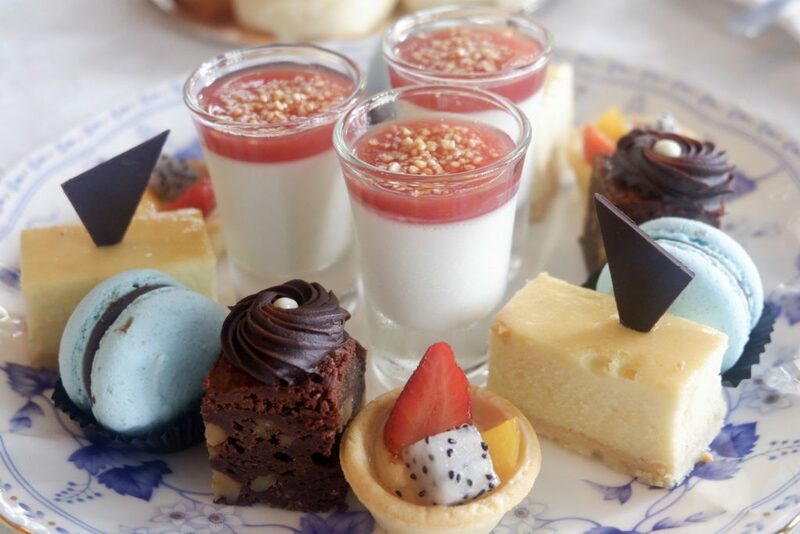 Our plate of vibrant desserts includes strawberry panna cotta in shot glasses, chocolate walnut brownie, sliced of cheesecake with the hint of lemon taste, and mini tarts topped with fresh dragonfruit, mango, and strawberry. I absolutely loved these desserts. But, my personal favorite is the chocolate macaroons that I even took Tina’s share. I guess she loves me that much. 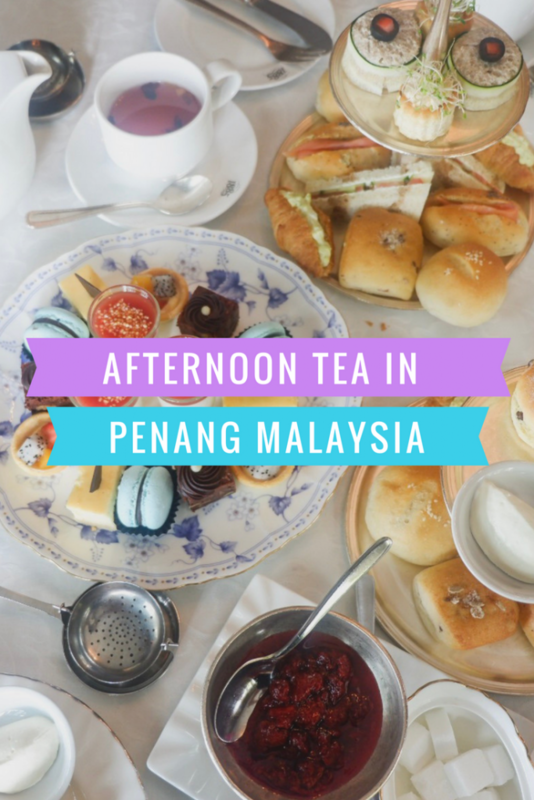 Our afternoon tea session was accompanied with chuckles, catch-up stories, and heart-to-heart talks while it was pouring rain outside. 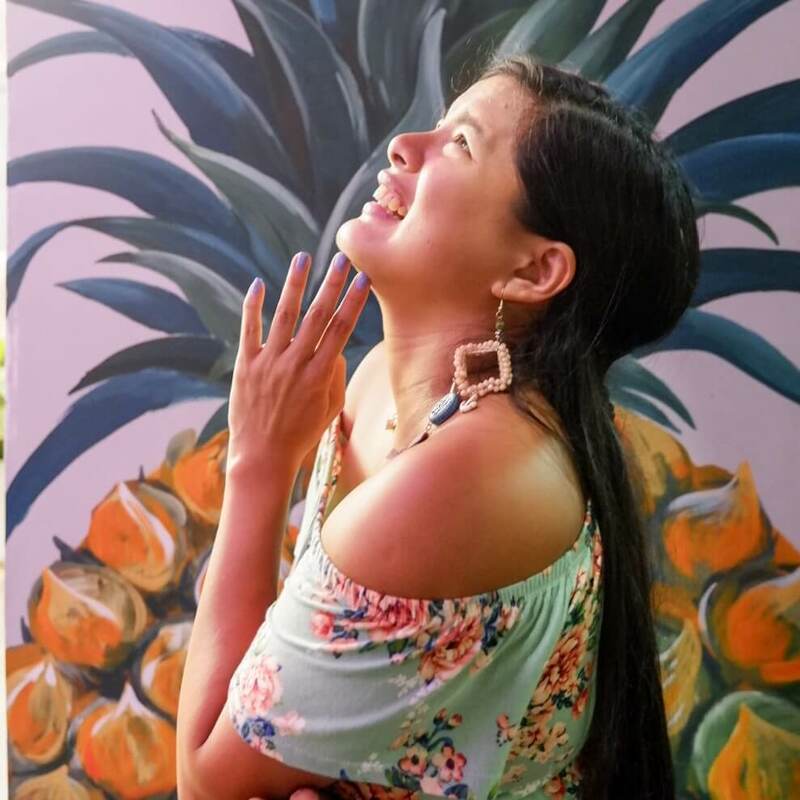 The setting was really perfect for socializing with your loved ones. 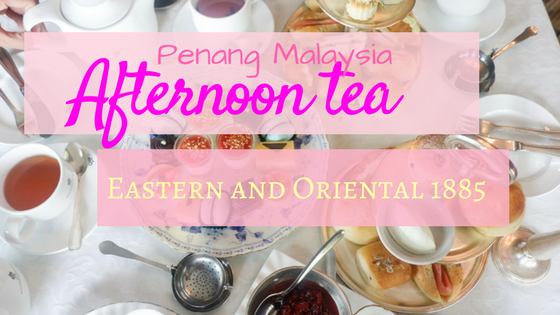 I’m glad that we had our traditional English setting of High Tea in 1885, Eastern & Oriental Hotel, Penang.